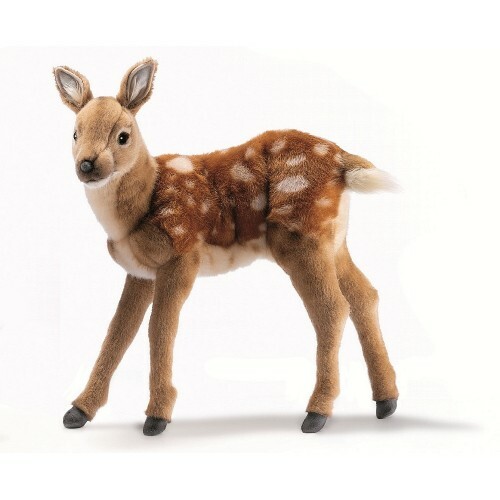 Deer are found throughout the Americas, Europe, Asia and North Africa. They range in size from European elk, or moose which may reach a shoulder height of about 8 ft to a South American pudu which can be as little as 25 cm high. The female gives birth once a year usually to 1- 2 fawns. Deer tend to eat grass, plants, bushes and saplings.